While planning for success, EMC Planning Group has been recognized for a number of project achievements. The following are selected awards we have received for our leadership and project involvement. EMC Planning Group, in coordination with Salinas Planning and Research Corporation and the City of Salinas, prepared an economic development element for integration into the City’s general plan. EMC Planning Group led a team of interdisciplinary consultants including economic development, public outreach, and urban design specialists. The primary components of the process included economic development visioning, an extensive public outreach effort, analysis of existing and future development market conditions, evaluation of opportunities and constraints (planning, policy, natural resources, environmental), preparation of an economic development vision map, and preparation of the economic development element. The economic development vision focuses on safety, jobs, and health. The economic development strategy will guide the City’s future economic development efforts and land use decisions, with the end goal of promoting business retention and creation, generating employment opportunities, facilitating workforce development, and enhancing quality of life for the City’s residents. 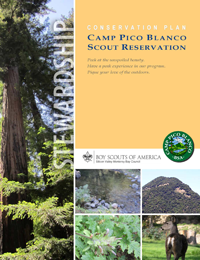 To improve long-term environmental stewardship at the camp, EMC Planning Group, in coordination with the Boy Scouts of America - Silicon Valley Monterey Bay Area Council developed the adaptive management plan. It will evolve over time with input from the newly formed Council Conservation Committee. Action item categories include: forest management, watershed management and steelhead protection, sensitive species protection, nature education, scientific research, and recreational use management. EMC Planning Group completed a reassessment of the Fort Ord Reuse Plan, which was adopted by the Fort Ord Reuse Authority in 1997. The Fort Ord Reuse Plan sets the framework for redevelopment of the 28,000-acre former Army base near Monterey. The reassessment requirement stemmed from a settlement agreement between the Sierra Club and the Fort Ord Reuse Authority, which mandated completion of the review by December 2012. The reassessment involved public input workshops, analysis of past Fort Ord Reuse Authority board of directors actions, review of the implementation status of each policy and program in the Fort Ord Reuse Plan, a market study, review of Fort Ord Reuse Plan consistency with regional plans, and a survey-level investigation into progress on a large number of topics, including munitions clean-up, water supply, traffic conditions, job creation, and housing development. EMC Planning Group prepared a scoping report that presented the background research, and a final report that addressed more than 50 topic areas, with a range of potential actions for each, for the Fort Ord Reuse Authority board of directors’ future consideration. 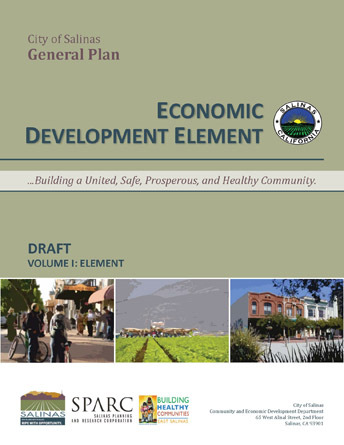 EMC Planning Group, in association with Applied Development Economics, prepared the urban design plan and design guidelines as part of an overall revitalization plan, funded by a State Community Development Block Grant, intended to enhance and preserve the historic character of Gonzales’ Downtown District. The overall revitalization plan focused on upgrading the downtown commercial district of Gonzales as a smart growth approach to expansion. Urban design improvements include street tree planting, special paving, an entry gateway treatment, specific street furnishings, and other enhancements for the two main downtown commercial streets. The design guidelines prepared provide recommendations for historic building facades and references for funding sources to help implement the recommendations. Under the direction of the Fort Ord Reuse Authority, the Fort Ord Reuse Plan and Fort Ord Reuse Plan EIR were prepared by EMC Planning Group in conjunction with EDAW and in association with eight supporting consulting firms. The Fort Ord Reuse Plan was a precedent-setting base reuse plan identified by President Clinton as the national model for base reuse. The Fort Ord Reuse Plan defines the conversion, reuse, and redevelopment of the 28,000-acre former military reservation. Reuse/redevelopment projects include three post-secondary educational institutions: California State University at Monterey Bay campus; the University of California’s Monterey Bay Science, Education, and Technology Center; and Monterey Peninsula College’s public safety training facilities. The Fort Ord Reuse Plan also includes a municipal airport; a state beach and other recreational areas; two 18-hole golf courses; 17,000 acres of habitat management land; mixed use development patterns with village centers as focal points; and a network of circulation alternatives to accommodate pedestrians, cyclists and transit users. Specific provisions were identified for each of the land use jurisdictions with responsibility for controlling development of the former Fort Ord lands: the City of Marina, the City of Seaside, and the County of Monterey. 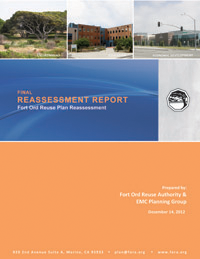 The plan development effort included the preparation of working papers for the Fort Ord Reuse Authority explaining the land use components of the Fort Ord Reuse Plan, infrastructure finance and operations plan, public services plans, and Fort Ord Reuse Plan consistency with local jurisdictional plans. The working papers resulting from this analysis were used by member agencies and jurisdictions to integrate the new plan into either existing planning documents or to create new specific plans for the sections of the base within their jurisdiction. The Fort Ord Reuse Plan contains a land use plan map and policy framework and jurisdictional plan elements. In 2002, the Monterey Peninsula Chamber of Commerce presented EMC Planning Group with the “Business Excellence Award” in the category of Professional/Business Service (Under 50 Employees).